We provide a secure, attractive, clean and organised environment that is child friendly and that caters healthy well balance halaal meals. We have qualified & experienced staff who are also trained in first aid level 2. Staff attend on-going training and workshops to ensure that our teaching skills are fresh and creative. We follow the Montesssori curriculum. 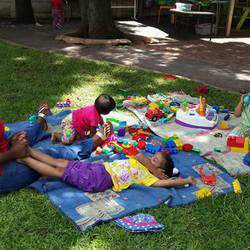 We have vertical grouping ( mixed ages) 1-3 yr old in a class and 3-6 yr olds in a class this assists in developing social, emotional & communication skills. 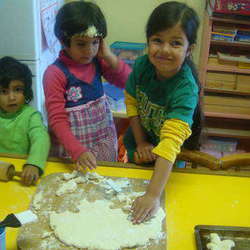 We are registered with the South African Montessori Association. 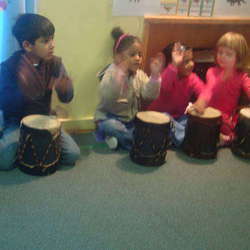 The children enjoy our in-house extra murals: music, art & cooking programme.